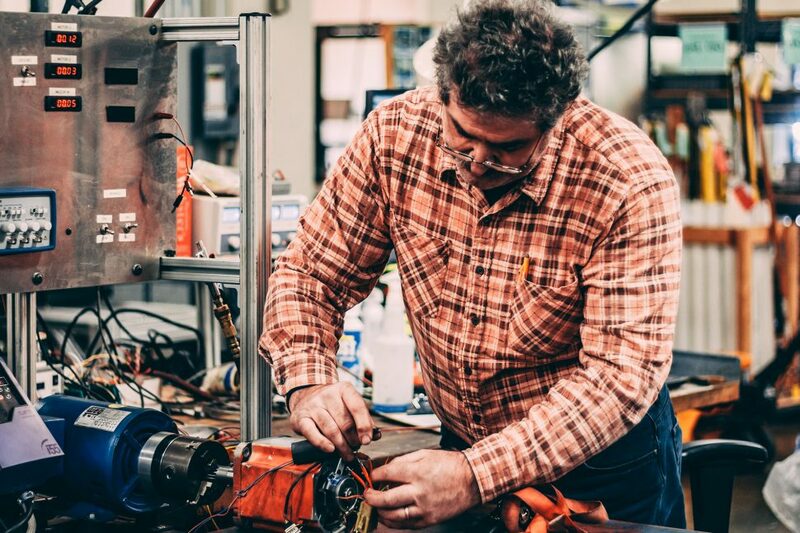 Before you start extending servo motor life and the profitability of your operation with the Servo Motor Preventative Maintenance Checklist – take a few minutes to check out these servo motor maintenance tips. Taking time for proper maintenance before disaster strikes has proven to be more cost effective in the long run, plus you’ll be in-the-know about some common problems most people miss while out on the plant floor. Don’t have the checklist? No problem – we got you covered. Click the above link and print one for each servo motor. Overheating is a problem you’ve most likely encountered before. To see if your motor is indeed running hot – use a temperature label or infrared thermometer as motors can exceed a whopping 176°F. If you have a little extra money, invest in a thermal imager to help troubleshoot and pinpoint hot spots. Take a few minutes to check for any detached or loose connections. Things to look for include a ground fault or short circuit – whereas an abnormally hot terminal block could signal a loose connection. Stop the servomotor immediately if any abnormal noise or vibration is present. Further damage to the motor and amplifier may occur if the machine continues operating. A simple trick to check for abnormal noise is to take the tip of a screwdriver and place it on the outside of the housing unit with you ear next to the handle. Having a stethoscope nearby (yes, the one the doctor uses… Sounds weird but it works) is even better. Most noise issues are caused by worn bearings or brake failure – which can be quite costly if left untreated. Routine vibration analysis is an affordable solution worth looking into if preventing future problems and detecting abnormalities is your forte. They’re there for a reason. Your machine should stop when an alarm is issued. Check the alarm number in the maintenance manual to find out what’s wrong. Do not reconnect power or reset an alarm before fixing the problem – as this could further damage and make it difficult to locate the original cause. Not only is the correct mounting position important, making sure the base or frame on which the motor is mounted is strong enough shouldn’t be overlooked. If you notice the base or frame on which the motor is mounted is bent – or excessive wobble occurs (usually caused by a broken weld) while the motor is running – replace with a stronger material. If you have a fan-cooled motor, clean the fan unit so that it’s free of any dust or dirt. Liquid-cooled motors require a little more work but shouldn’t take more than 30 minutes. Check to ensure the correct liquid is being used and the piping is not clogged. Regular cleaning and inspection of the fan and heat sink is necessary to keep your motor from overheating. Contaminates are known to reduce semiconductor cooling efficiency, which degrades reliability. Ensure that the cables used are the appropriate diameter and temperature ratings. Plus look for any splits or cracks – as these are safety hazards. Look for tears and signs of excessive wear or tension and take a few moments to look for any alignment issues as this is known to cause damage to the bearings. Check the encoder or pulse coder for any cracks or holes. Replace the cover if any damage is found and make sure the protective coating on the motor surface hasn’t come off. Oil and cutting fluid can leak onto the motor and damage the coating so make sure to wipe it off periodically. Internal contamination exists but you’d have to take apart the entire motor to see it. 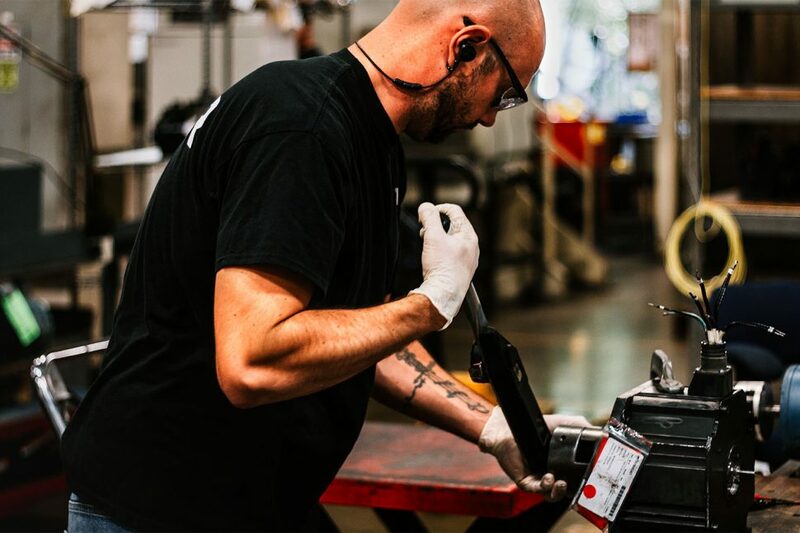 Although not the most field friendly procedure, we do recommend it from time to time – especially for the servos that are critical to the plant’s operation. Best to perform this task during planned shutdowns by sending to a qualified repair center for inspection. Don’t have the time or resources to do that? Get a glimpse of the interior by removing the motor end cap. Signs of corrosion and/or traces of liquids and oils is evidence the interior has been compromised. During your visual inspection – make sure attached gearboxes are not overfilled and protect the motors from being sprayed with contaminates when possible. Make sure your servo is designed to operate in the existing conditions. The IP Classification code located on the nameplate is a good place to start as this is your first line of defense. Use a clamp meter to record normal RMS voltage levels. This will become your baseline measurement. You will periodically record these measurements again under the same operating conditions so it’s important you remember them. Measure the insulation resistance between each phase and the motor frame using an insulation resistance meter (500 VDC). Your phase to phase measurements must be equal, whereas your phase to ground measurements should exceed 300MΩ. Unplanned downtime is never a good or relaxing experience, and we’ve yet to meet someone who enjoys such scenarios. Monthly and annual checks take time and there’s a cost to everything we do – no doubt about it. But we hope the servo motor preventative maintenance checklist makes things a little more manageable. ICR is committed to bringing solutions that increase up-time and the servo motor maintenance checklist is another tool effective plant managers and maintenance personal will have at their disposal. Be sure to subscribe to our blog to stay up to date with the latest in servo motor maintenance tips and industrial automation happenings. From servo motors to drives to PLC’s & beyond! It’s all discussed right here.